October 26 is National Day in Austria. This holiday was created to commemorate the anniversary of the 1955 Declaration of Neutrality. The Declaration of Neutrality enacted on October 26, 1955 as a constitutional act of parliament. According to the Declaration, Austrian Parliament declared the country to be permanently neutral. The Declaration was a direct consequence of a ten-year period of occupation of Austria by the United States, the Soviet Union, France and the United Kingdom. The country was freed from the occupation by the Austrian State Treaty, that was signed on May 15, 1955. And the Declaration of Neutrality made the last step to proclamation of the Republic of Austria. 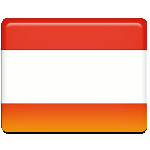 National Day is observed as one of the most important Austrian holidays. The major celebration is held in the capital of Austria. Military parade is a traditional part of celebration. The building of Austrian Parliament and Chancellery open their doors to the visitors. The Austrians like to participate different events and go for picnics. National Day is a public holiday, that is why everyone can enjoy the celebration.